The guys from MotorWeek are some of the oldest in the car reviewing business, doing video reviews on cable television since before millennials were even around. They are still at it and, might I add, the experience shows in every clip as they managed to infuse a lot of useful information in their clips that are usually less than 10 minutes long. That’s quite a performance these days, when reviews tend to get longer and longer and still miss some key info. And yet, the MotorWeek experience shows in every frame as they manage to do everything without ever giving you the impression they are on the clock. The BMW M2 Competition is the latest car they are testing and this time they went to the track to see just how different the updated version is to the regular M2. From the specs of the car to the upgrades the Competition model gets compared to the standard version, they cover everything, including the tires the car comes equipped with as standard. As for the numbers, things kick off with a surprise. 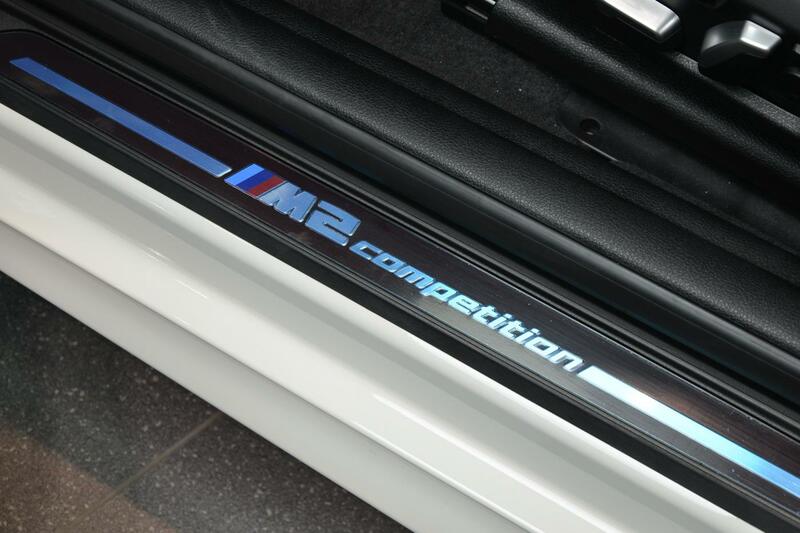 The Competition M2 was recorded at 4.3 seconds to 60 mph which is 0.1 seconds slower than what they recorded on the original. The colder weather and higher horsepower figure contributed to that shortcoming. However, the 1/4 mile time of 12.6 seconds at 115 mph was 0.2 seconds faster, suggesting the M2 Competition makes up for the lack of grip once it gets going. On the track, the BMW proved to be deceptively quick, tight-feeling, competent and tossable car that didn’t disappoint, even though the expectations were pretty high before setting off. The brakes are worthy of a mention too, allowing for late braking without showing any signs of fade. According to MotorWeek, the M2 Competition chassis feels like it could take even more power and that’s exactly what BMW M has cooking in the shape of a CS model.